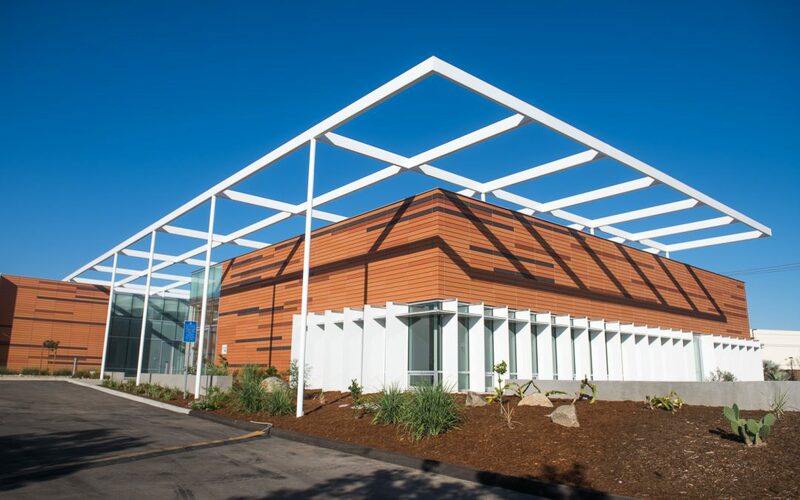 Palomar College’s latest expansion project, designed for LEED Platinum certification, named Engineering News-Record Magazine’s Best Green Project in Southern California. SAN MARCOS, CA ― The soon-to-open Maintenance & Operations (M&O) building at Palomar College has been named “Best Green Project” in Southern California by the prestigious Engineering News-Record (ENR) Magazine, Director of Facilities Chris Miller told the Palomar Community College District Governing Board on Tuesday, Sept. 11. As a “Net Zero” project, M&O will be the first community college building in the world to earn Living Building Petal certification, and was designed to achieve LEED Platinum status. On the average day it will generate 105 percent of its own energy demand, making it a Zero Net Energy building. “At Palomar College, we’re committed to sustainability, and this award recognizes the great work done by our Facilities team and our partners to realize the vision of an environmentally-friendly campus,” said Superintendent/President Dr. Joi Lin Blake. energy consumption. Together, these features provide an 85 percent reduction in cooling hours and a 30 percent heating load reduction on a typical winter day. Other sustainable strategies, such as rainwater harvesting, renewable energy, and daylight harvesting, further enhance the value of the building and add tremendous value for the community for years to come. The award will be presented the morning of October 11 at an event in downtown Los Angeles. With this award, the M&O building will be entered into ENR’s national competition for Best Green Project, the winner of which will be announced later this year. Engineering News-Record is the premier national magazine concentrating on engineering and construction. ENR provides engineering and construction news, analysis, commentary and data that construction industry professionals need to do their jobs more effectively.